Tangle ist ein modularer Synth für 20 Pfund – Es gibt komplexere Wellenformen und ein modulares Konzept, was irgendwo zwischen zMors und Audulus liegt. This affordable modular synth (mac/pc) reminds a bit of zMors and Audulus. 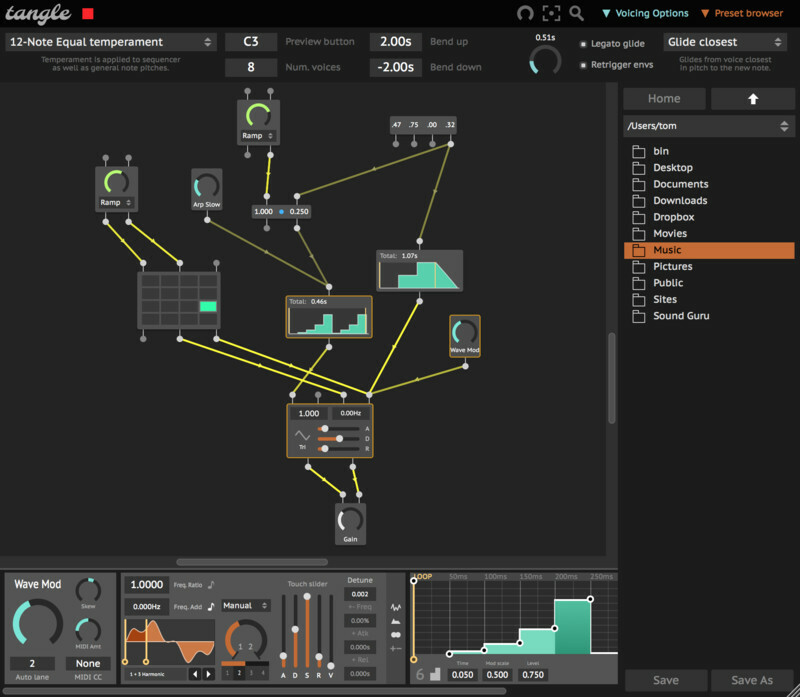 It has a large number of waveforms – edit all those modules at the bottom screen – interesting concept and more classic..
emphasis on „FM“.. and simplicity..
Just 12 components, and a canvas to put them on. Hook them up to explore with new combinations and cross-pollinations of FM, AM, subtractive, and comb delay synthesis.